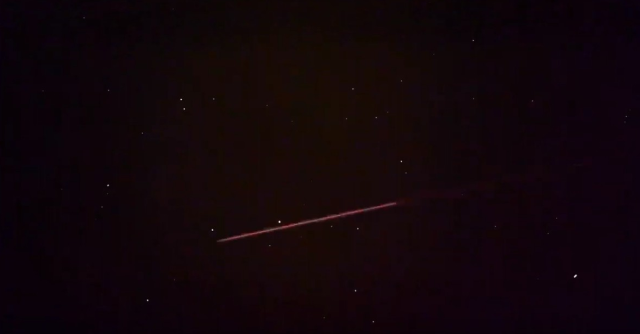 On February 14, 2019 Wilbur Allen has captured a strange red band of light that travels through space. Given the speed of the object, it seems that the sky-watcher has filmed a fastwalker. Fastwalker is a code name created by the North American Aerospace Defense Command to classify Unidentified Flying Objects which moving and changing directions at high speed and enter or leave the atmosphere at a great velocity. Fastwalker captured on a DSP satellite. Sometimes Fastwalkers have been captured on the Defense Support Program satellite system as happened on May 5, 1984 when a DSP satellite captured a FastWalker while it was traveling a 22,000 mph. 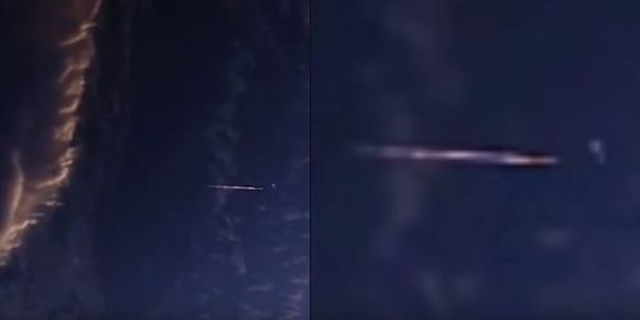 The footage shows a satellite and the fastwalker, characterized by a strange ‘red band of light, in one picture and compare the difference in speed at the moment the fast walker passes the satellite.